gardening | Cook It Quick! 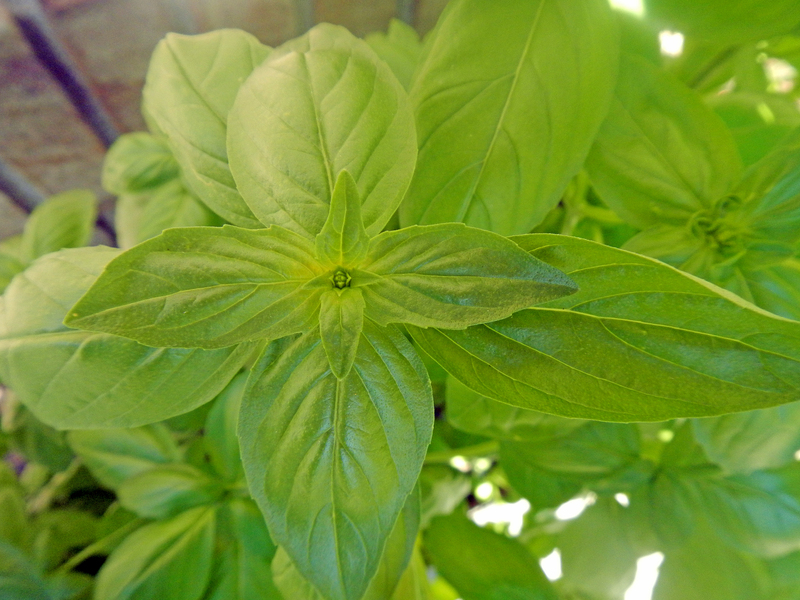 Basil growing outside my front door … ahhh! If you’d like to “garden” but feel you don’t have room, try planting herbs. They’re like mini-vegetables, easily grown in a pot, and very forgiving if you occasionally neglect them. Best yet, they add flavor and color to foods without adding sugar and fat calories or salt. 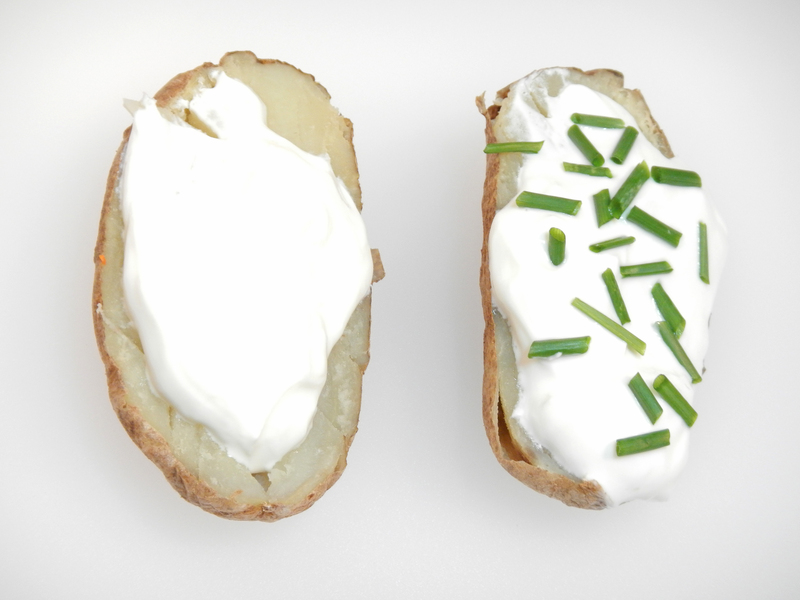 Here’s a potato I “nuked” in the microwave and topped with yogurt, presented with and without chopped chives. That little sprinkle of green makes all the difference in appearance and flavor! 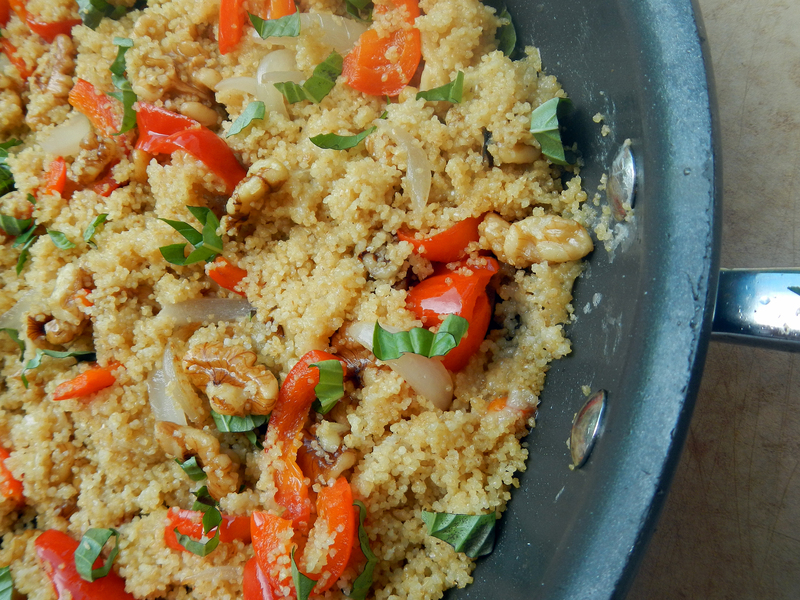 A sprinkling of herbs adds color and flavor. Looking for a spot for growing herbs? They need at least 6 hours of direct sunlight daily. No place to plant? Put them in a pot. 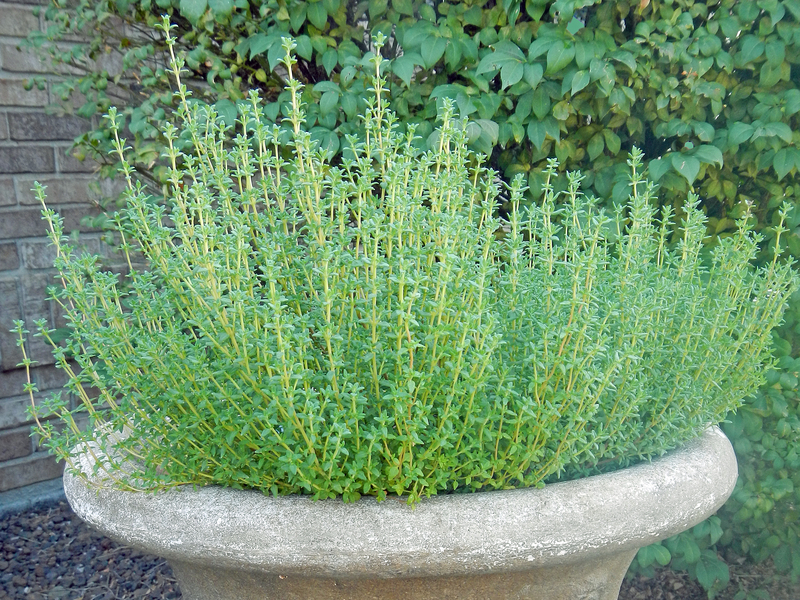 Thyme is a hardy perennial herb and looks beautiful grown in a pot. 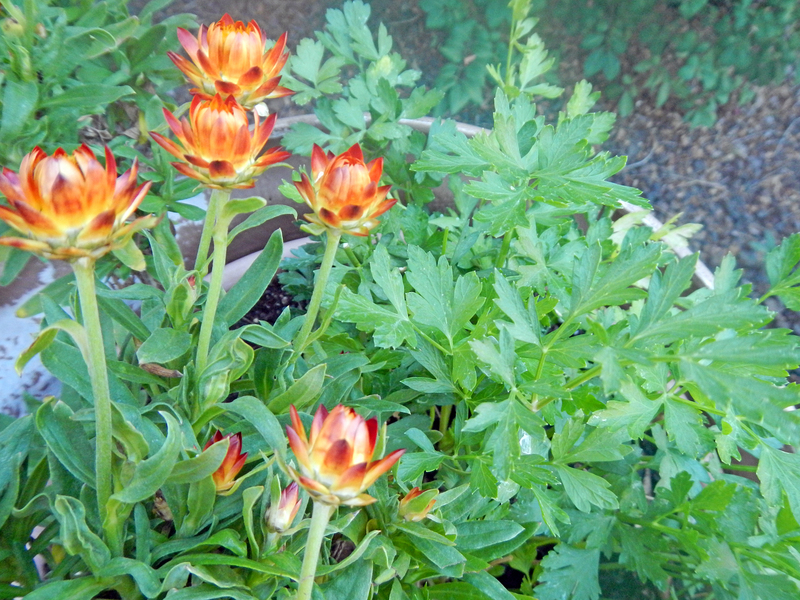 Italian (flat-leaf) parsley and straw flowers combined in a pot. 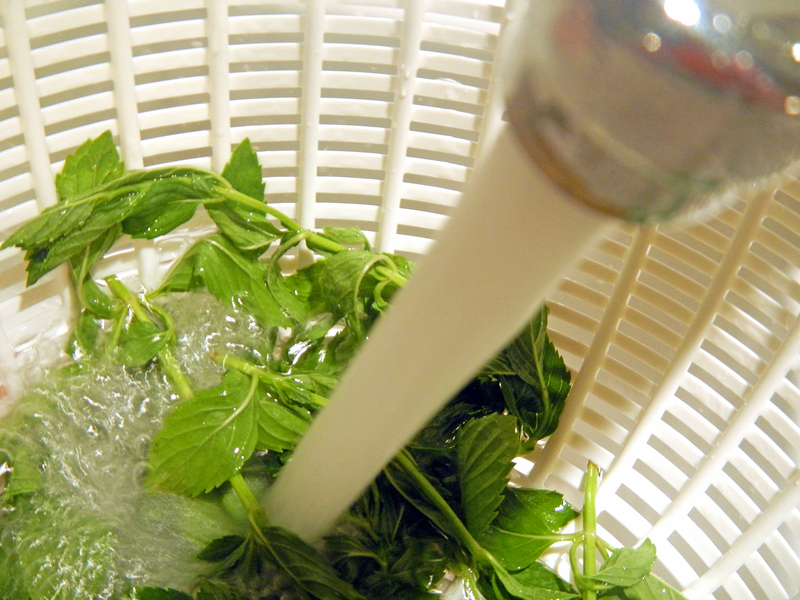 Wash herbs in a clean colander under running water, tossing them around so all surfaces are rinsed well. Consumer Reports recommends, “If greens are particularly dirty, loosen dirt and sand by swishing them in a clean bowl of water (not the sink), then rinsing.” I like to use the removable strainer basket from my salad spinner for washing herbs. And, then use the basket to spin my herbs dry in my salad spinner. Wash herbs under running water just before using them. Pat herbs dry with paper towels or use a salad spinner. 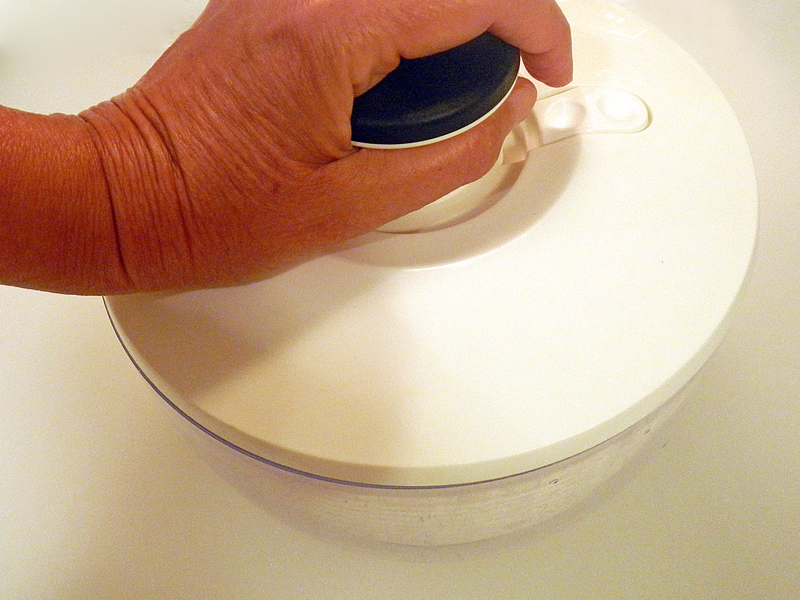 Before buying a salad spinner, give it a spin at the store to test if it spins easily. Drying herbs in a salad spinner. A quick way to cut herbs is with a kitchen scissors. For some dishes, you can cut the herb directly over the food itself. 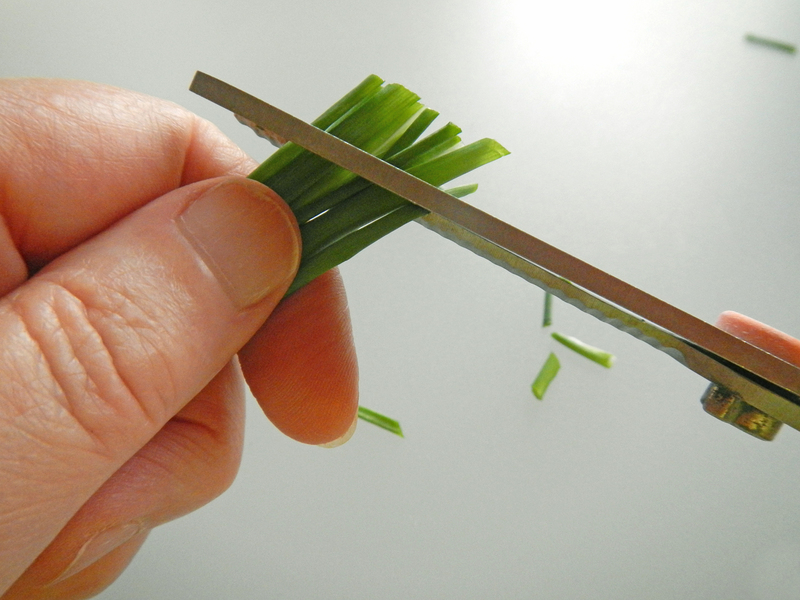 Snipping chives with a kitchen scissors. Use three times as much as of a dried herb. For example, if a recipe called for 1 teaspoon of a dried herb, use about 3 teaspoons of a fresh herb. The drying process reduces the size of dried herbs, making their flavor more concentrated. Add more delicate herbs a minute or two before the end of cooking or sprinkle on food just before it is served. Examples include basil, chives, dill leaves, parsley, and mint. Less delicate herbs can be added about the last 20 minutes of cooking. Examples include oregano, rosemary, thyme, and sage. Add more delicate herbs, such as basil, a minute or two before the end of cooking or sprinkle on the food just before serving. 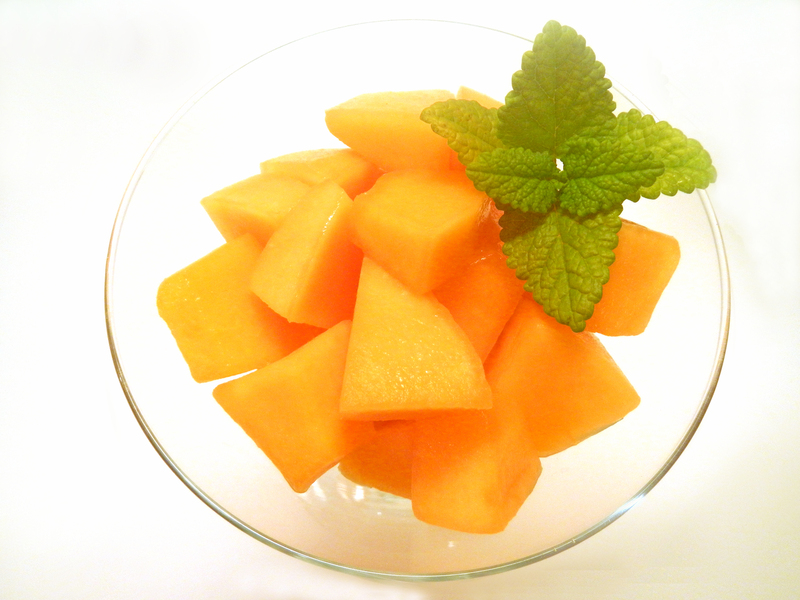 Add a pop of mint to dress up a fruit salad. 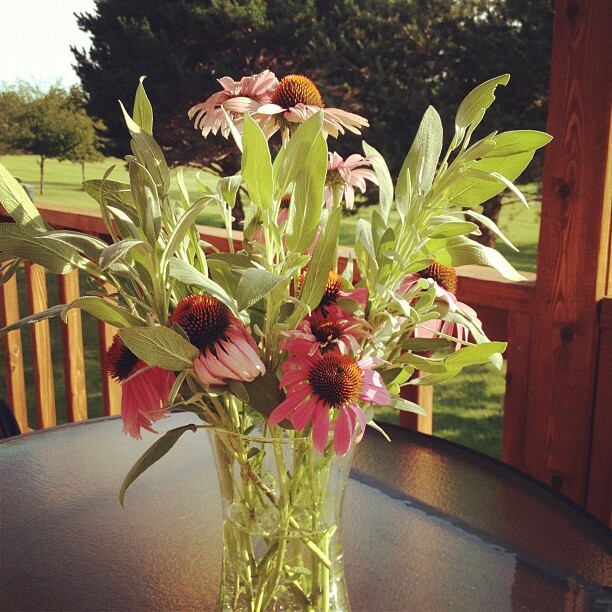 Sage and coneflowers grace the table at an outdoor meal. Delight in the Refreshing Taste of Tabbouleh!